Canon Saudi Arabia, the leader in imaging and printing solutions, today announced a strategic partnership with Copatra Graphics, a leading provider of printing and media solutions in the Kingdom of Saudi Arabia. With this collaboration, existing and prospective graphic art customers across the Kingdom will have access to Canon’s innovative, technology-led solutions, designed to deliver high quality and efficiency. 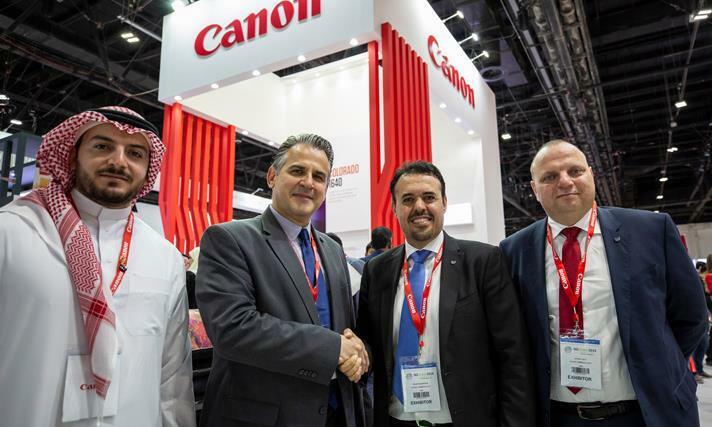 Canon Saudi Arabia, reporting to regional headquarters Canon Middle East, was formally established in 2018 to support growing demand for business solutions in the Kingdom. The company’s largest regional direct presence operates from Riyadh with two branches in Jeddah and Khobar, with the aim of directly contributing to Saudi’s economy and industry diversification strategy as outlined by Vision 2030. With over 50 years of experience in the Saudi market, Copatra Graphics today provides high quality solutions to the printing, packaging, and graphic art industries to a variety of businesses across the region. This strategic partnership aims to extend Canon’s reach in the sector to meet customer requirements for Wide Format and Production Print Products in the Kingdom. As Canon’s partner in the region, Copatra Graphics will benefit from the company’s technology expertise to better deliver business success by recognizing and seizing new opportunities in the industry. The alliance strengthens Copatra’s portfolio to include the latest solutions from Canon such as Canon’s imagePROGRAF inkjet products and Colorado 1640 wide format printer, powered by UVgel, amongst other innovative products. Experts in the industry have indicated that more than 40% of production jobs need to be turned around within 24 hours and a majority of those are same-day orders. This is accompanied by a growth in print volumes in the wide format marketplace in the recent years. Canon’s UVgel print technology provides a significant competitive advantage by filling this gap to unlock additional value for customers. According to a report by the Printing Industries Research Association (PIRA) the Saudi print industry is presently well established with significant market potential in digital printing for suppliers of print equipment, consumables and print service providers. It is set to expand at 5.5% by value across 2017–2022 to pass $7 billion by the end of this period.